PACKAGING: easy to use,peel on and stick back on closure. WHAT IS: A makeup remover or cleanser,infused with aloe vera,organ oil and cucumber,FREE OF paragons,sulfates,synthetic fragrance,synthetic Dye,petrochemicals,phthalates, and is Biodegradable.YAY! 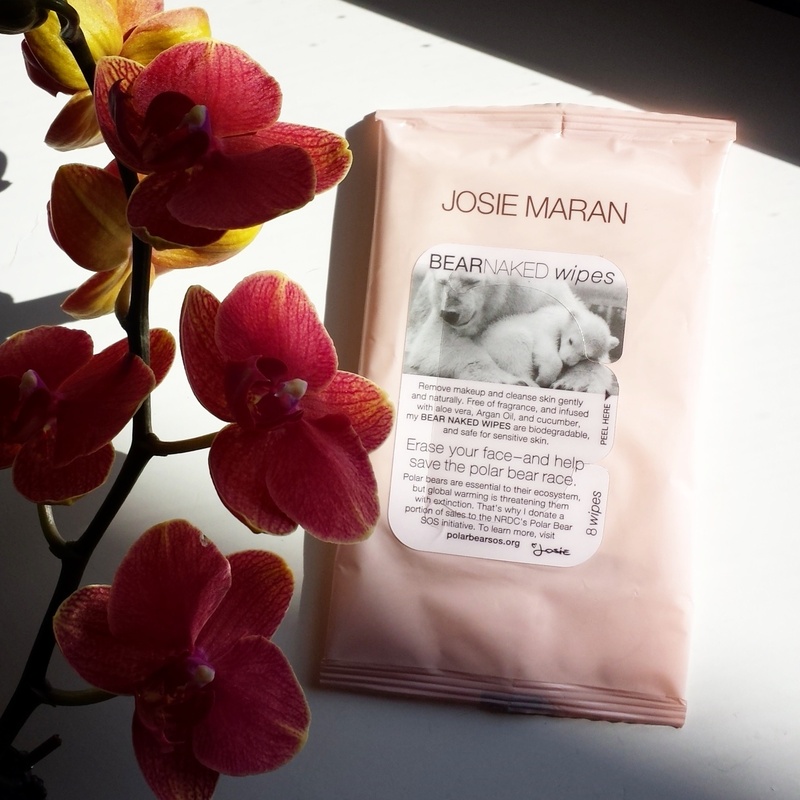 In support of the Natural Resources Defense Council’s Polar Bear SOS initiative, a portion of every package of Bear Naked Wipes sold will go to protect these endangered animals. WHAT IT DOES: it works really well,I was most amazed how fast it removed mascara,the fastest from all the others makeup wipes removers i tried before.I wish it was more wet,i feel it lacked moisture,so because of that 1 tissue might not finish the job of removing a full face makeup. OVERALL: It states on the package that is “safe for sensitive skin” but for me,it burned around my eyes and lips,so I will not recommend it to sensitive skin.It also didn’t over dry my skin,just left it really clean,as if i used a toner. Thanks for the honest review. I find that all of these makeup wipes burn. Sigh. 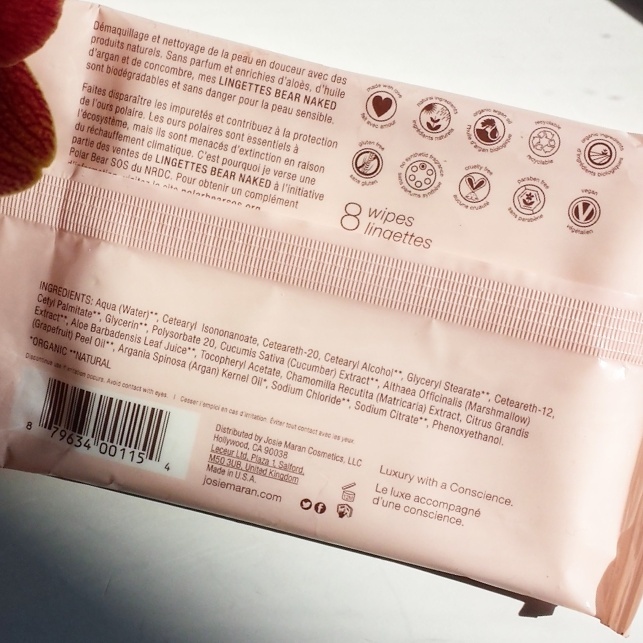 I tried the pink grapefruit Neutrogena wipes and they were a bit burny. The worse ones though? MAC Cosmetics wipes. GAWD! These sound great will have to check it out. 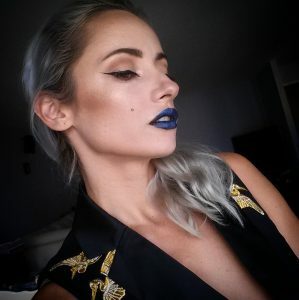 Have you tried Yes To products? I use the Yes To Cucumbers wipes often, they are so refreshing.